Another field of work in which Ceres NZ has been progressive in introducing new technology to the market is the Make Safe and façade retention works. Capitalizing on technology and techniques generated in the California market as a result of the high seismic activity of the region, Ceres NZ has been a pioneer in this field of work. The idea of saving an earthquake-damaged building seemed foreign to many public officials in the area, and was originally dismissed as an option for remaining buildings. Working to provide creative engineering and construction solutions, Ceres NZ completed some of the first Make Safe and façade retention works in the City, creating a niche market for building owners looking for an alternative to demolition. One such example is the Excelsior Hotel. The façade of the Excelsior Hotel fronting Manchester Street in the CBD is an iconic structure to the city. The majority of the building was severely damaged, and was slated for complete demolition. 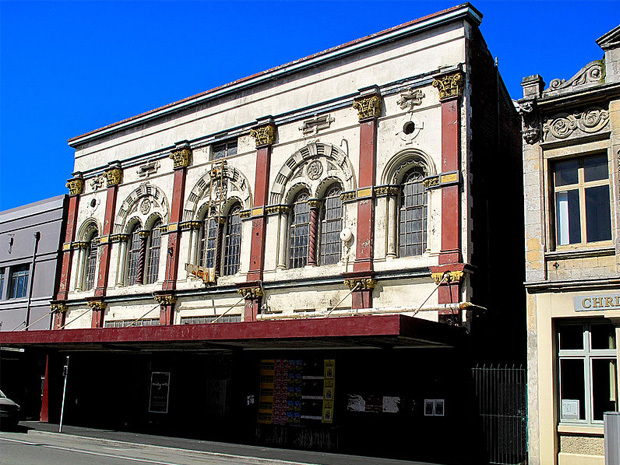 Teaming with the Historic Places Trust, Ceres NZ developed a work plan to retain the front façade to be incorporated into a future building. 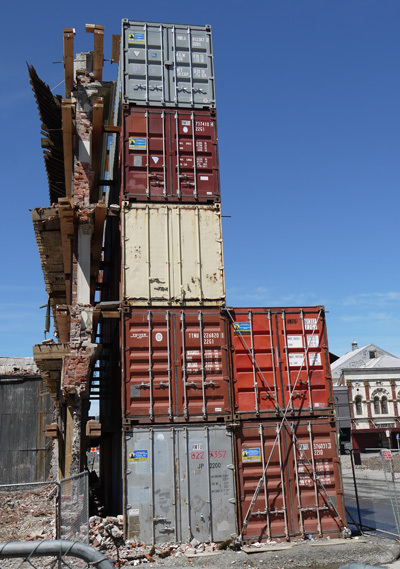 Ceres developed an inexpensive temporary shoring system to stabilize historic facades by filling shipping containers with heavy aggregates and bracing the walls. This allowed more time for structural analysis and repair solutions that minimized demolition. The system was successfully installed and the balance of the building was demolished. The stand-alone façade and supporting system has gone through multiple earthquakes, including the December 2011, 6.0 magnitude quake. We have saved many buildings whose owners wish to preserve or seismically retrofit, but need to bring the structure to a level of 33% Code Compliance so that the buildings are not automatically demolished as unsafe structures. By working with a group of structural engineers, we find interim solutions to preserve these structures, providing the owner time to resolve insurance claims while keeping their options open. Examples of this are Sammy’s Bar, a classic wine bar in the CBD; and a heritage office complex called the Billen’s Building.